Whenever we need a song or a video, the first source that strike into our minds is YouTube. YouTube is no doubt the best site for sharing videos. But sometimes instead of downloading videos, we just need the audio part of that video. In that case you can directly download YouTube videos as MP3 files using one of the following sites that allow you to convert and download YouTube videos as MP3 files. You can also download YouTube videos in mp4 or flv format and then use some software to convert those videos to mp3 format. Downloading videos first and then converting those videos to other formats is lengthy task. Here are some sites that let you convert YouTube videos directly to mp3 format online without requiring you to install any kind of software. Youtubemp3.tv is an online tool that converts YouTube videos to mp3 files. It don’t require any registration, simply paste the URL of the video that you want to download, select audio quality – Normal or High and click on convert button. After converting the video it will provide you a link to download the file. Unlike other sites available, converted video can also be embedded into forums and websites directly. Video2mp3 is other great video converter tool available on the internet. It also allows you to download videos in mp3 format and chose audio quality between standard and high. It takes more time to convert videos than earlier mentioned tool but its audio quality is great. The only thing that I don’t like about this site is it has many ads and normal users find it difficult to use such sites. FLVTO is free online video converter tool. Its interface is really simple. 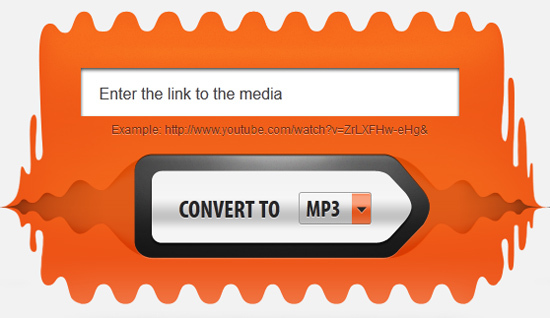 Just paste the URL of video and click on Convert to mp3 button and you will get converted video within seconds. Its conversion speed is really fast but it don’t have the option to choose between normal and high quality audio. It lacks the option of normal or high quality audio but still the quality of mp3 files is great. VidtoMP3 works same as Video2mp3. This site is also cluttered with ads but it works great when it comes to audio quality. You can download the mp3 files in standard and high quality. Fetchmp3 is yet another online tool for video conversion. It is also very simple and easy to use but it takes a lot of time for conversion. You can choose between 4 audio qualities. Thanks. Really Helpful. I liked vidtomp3 the most. I’ve used Video2mp3 a number of times and it always saves me time when doing audio-visual presentations and the like. I generally uses the Firefox plugin for this purpose. But these online sites seems good rather installing the plugins. Good list of sites, I am searching websites to YouTube videos. Vuclip is another good site to download YouTube videos on mobile.